Dear experienced and beginner model makers! As I was reading your articles, I noticed that building canopy for your models seems to be a common challenge. 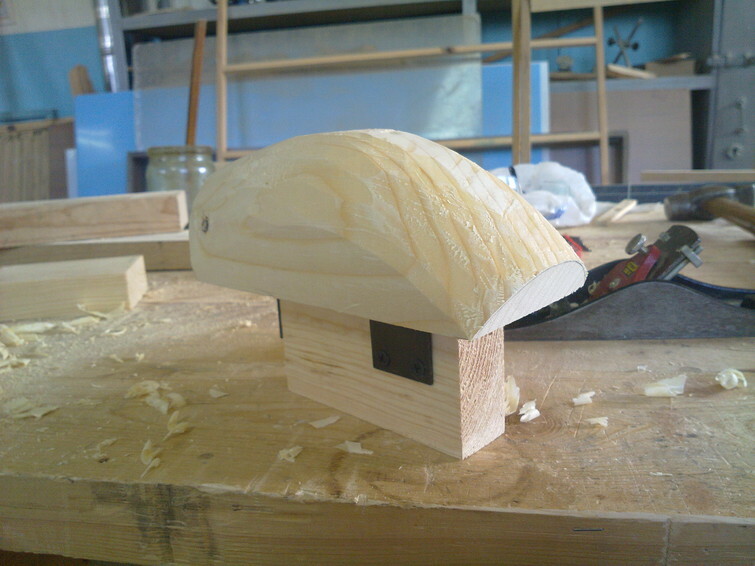 Often your models either lack canopies or have a very poor appearance. 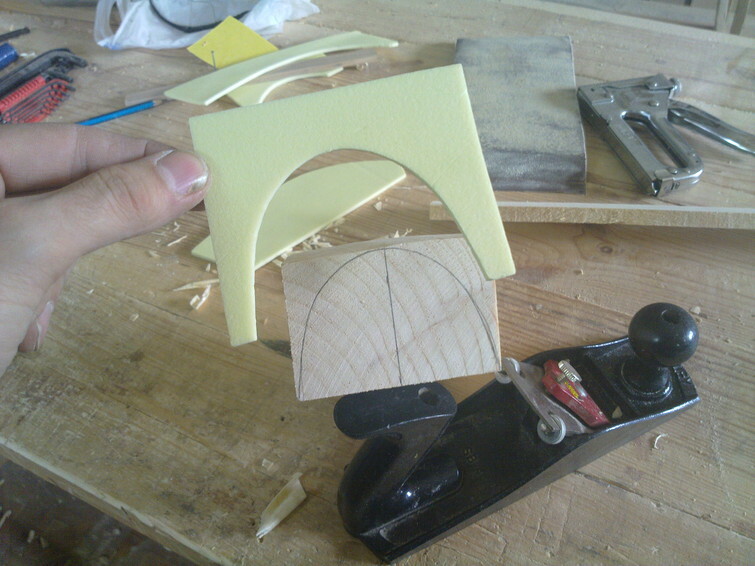 That is because model makers tend to bail on making the mould for shaping the canopy. They believe it's a process that is too painstaking and unnecessary in case they intend to build a single model. I'd like to convince you otherwise, it's really easy. And it doesn't cost much. We're going to need a heat gun, a spruce bar, a handsaw, a planer and an empty plastic bottle. Let's start with templates for the future mould. First thing we'll do is make a template for the upper part. Next come the front and rear parts of the mould. These templates must be angled according to the side view. As soon as we're done with templates, let's get down to building the mould. 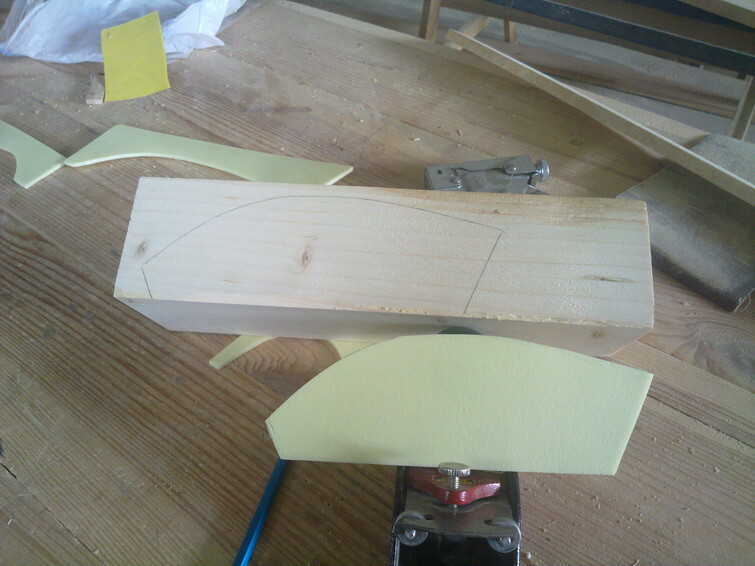 Take the bar (might as well be a stack of planks screwed or glued together) and transfer the side view outline onto it. 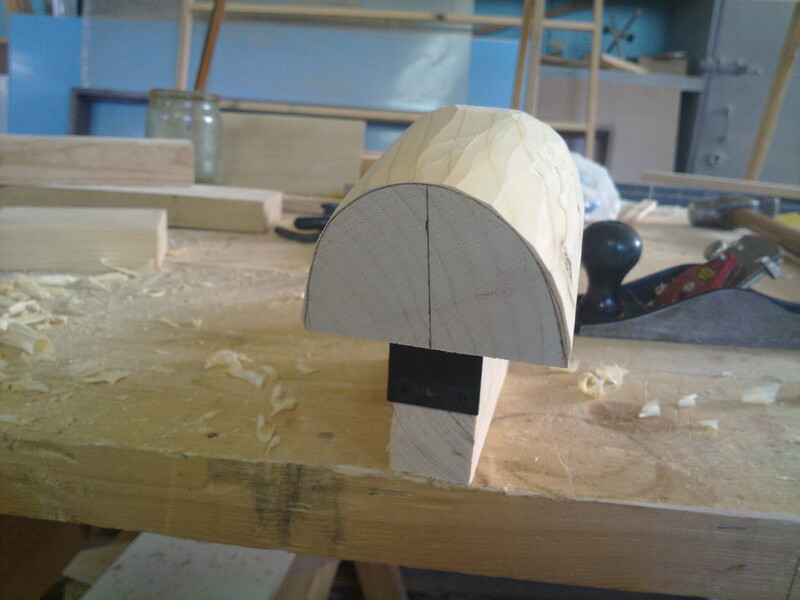 Cut off the extra wood. Now transfer the front and rear view outline onto the corresponding surfaces. Attach a bar at the bottom of the mould for your convenience. 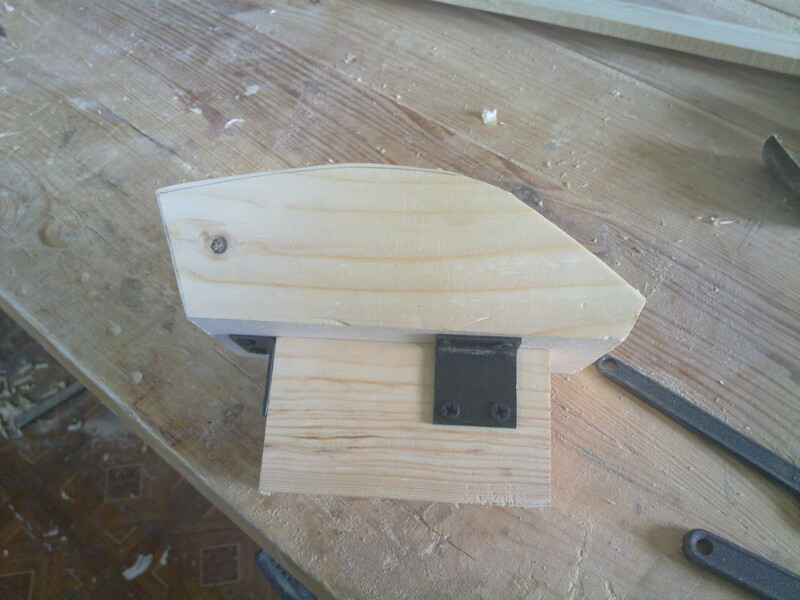 Grip it in a vise and cut off the extra wood with a planer. The mould is almost done now, it just needs a little finish sanding. The whole deal took us two hours. Now, the bottle. I recommend using a blue one or some other color, the clear one won't look as good. Put the mould into the bottle and heat it up with a heat gun. Fix the bottle onto the mould with screws, if necessary. Cut it out and test-fit it on your model. It fits. Now seal it with aluminum foil tape. Replicate riveted joints with a fine tube. Like I said, it's simple. Best wishes on your model-making and flying. Gypsum technology in such cases better, but again, where to get the plaster? So many lights and no cabs, hoods, etc. From gypsum then preset easy tear? I tried to do a form of foam-at one time, but in the process of extracting-crumbles, and the hood at all unrealistic then remove. So only the tree. Alabaster is in any construction store. This is the same plaster. But what would the quality disc do not less dirt. Plaster dust clean harder than pine shavings. Oh that's right. I only have a piece of Basswood was I so two billets I remember doing. All turned out and warmed no hairdryer and a kitchen gas stove, over a moderate fire. Because no hair dryer. Hello! Excellent you have succeeded! Al′minievyj tape you bought? Scotch bought in the supermarket. This tape often use installers of ventilation systems. I collect large Samick, lantern similar to this but long 600 mm, this technology is weak? Cubicle came out good! 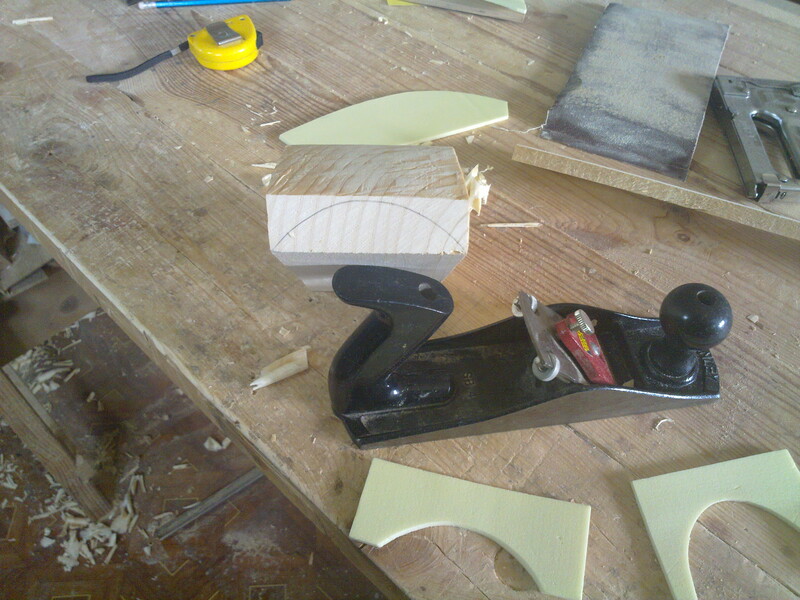 Join Vitaly-wants to see about making a yak. Yak almost ready, be sure to talk about its construction. Many photos and shove all on one article will not work. It's cool! Did the same for Sbach. And Yak čertižami not share? Certainly will share. I will give them in order and lay with the description of the building, so they will be more ponâtlivymi. On RCdesing there is a drawing of Yak panache 1300. Excellent +. Than pepelac painted? All krasilos′ nitroemal′û. Not from the Committee.